Exceptions to Florida No Fault Car Insurance Laws | DeLoach, Hofstra & Cavonis, P.A. 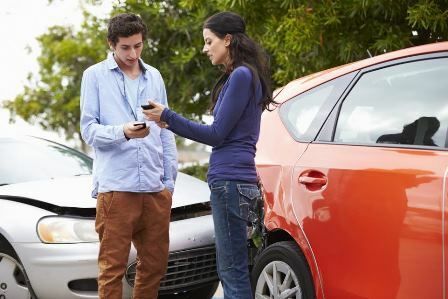 The idea of no-fault car insurance laws is often puzzling, since one driver is nearly always more to blame than another after a car accident. Under state insurance laws, the term no fault doesn't mean a lack of responsibility for the crash. It means an insurer is obligated to pay for costs regardless of fault. Each state can choose whether it wants to be a “fault” or “no-fault” state when it comes to car insurance—and the law can greatly affect a resident’s ability to get payment for his medical bills and lost wages after a car accident. Since the amount of potential damages in a lawsuit is much higher than most insurance limits, injury lawsuits against at-fault drivers were common—and remain popular in fault insurance states. Florida lawmakers adopted the no-fault system as a way to provide compensation to car accident victims without the necessity of a lawsuit. By requiring each driver to recoup his crash costs from his insurer, accident victims can get necessary payments much more quickly and efficiently than by filing suit. In order for the system to work, all drivers are required to purchase and maintain auto insurance coverage for personal injury protection (PIP) and property losses. As long as a victim has this insurance, he or she is guaranteed to receive payment for medical treatment, lost income, replacement services, and death benefits related to the accident. Are There Exceptions to No-Fault Car Insurance? While the no-fault insurance system reduces the number of personal injury lawsuits, it isn’t perfect. There are some situations when someone's insurance won't be enough to cover the full extent of his or her injuries. In some cases, the insurance laws may not apply to one or both drivers involved in a crash. It’s important for drivers to know the limitations and exceptions to insurance laws in order to get fair payment for their injuries. Caused permanent injuries. Florida insurance laws don't prevent victims from suing in all circumstances. If the injuries in an accident are severe, Florida drivers can still pursue a lawsuit against the at-fault driver. However, the trauma must be extensive enough to meet the injury threshold set by law. Generally, an injured driver can sue if the effects of the accident are permanent; have resulted in scarring or disfigurement; or have caused the loss of important bodily functions. Accidents that have not caused permanent injury may still qualify for litigation if injury costs have totaled more than the $10,000. Involved an uninsured driver. The no-fault law only works if all drivers agree to carry a minimum amount of insurance. If a victim is involved in a serious accident with an uninsured driver, the victim will have to rely on the limits of his own insurance company (including any uninsured motorist coverage he may have) or pursue a lawsuit against the at-fault driver. Happened out of state. Florida insurance rules are only guaranteed to cover drivers in their vehicles and within state limits. Florida PIP insurance can refuse to cover your injuries if you're injured in another state and in a vehicle that belongs to someone else. If you pursue a claim against an at-fault driver, you might be able to recover damages for pain and suffering, mental and emotional distress, and other losses. Contact us today to have an attorney help you determine the best way for you to get compensation after your injury.